Smoke control is a complex process involving smoke extraction and fresh air supply by the supply and extract ventilation system of buildings in order to ensure safe evacuation of people in case of a fire in any of the spaces. Ventilation systems for underroof parking are designed to ensure the most important functions. Such systems are designed to protect people escaping fire through the evacuation routes against hazardous fire factors by extracting harmful combustion products and preventing their spreading in the air. According to conclusive evidence the majority of mortalities in a fire are caused by poisoning from carbon monoxide and other combustion products. Carbon monoxide is one of the most toxic smoke components. It is carbon monoxide poisoning that accounts for 80 % the fire accident causes. Fires in closed spaces where oxygen supply is limited are especially prone to intensive carbon monoxide generation. Smoke is able to cause loss of consciousness and cardiac standstill before a person may leave a house on fire. 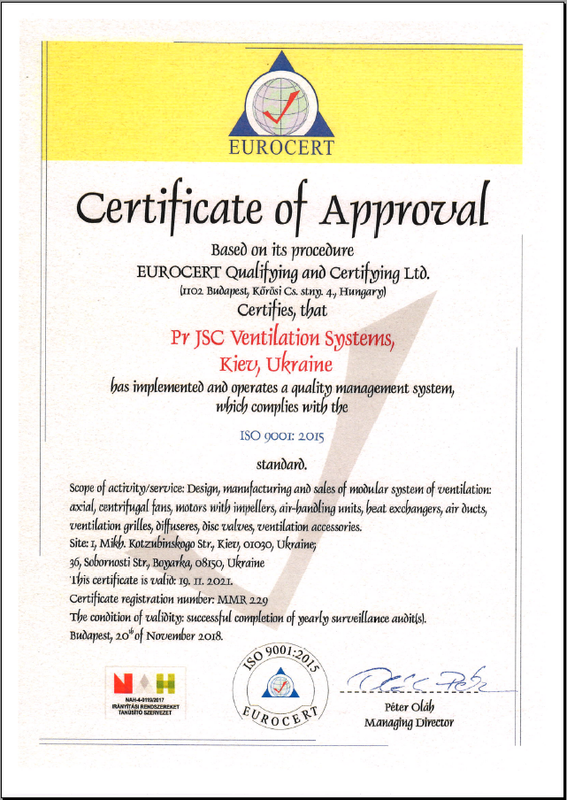 Jet ventilation system is the most suitable and safe ventilation solution for modern underground parkings. Arrangement of such ventilation requires no ductwork layout, thus the involved mounting expenses are reduced by 45 %. The energy losses caused by aerodynamic resistance in the air ducts are also reduced. 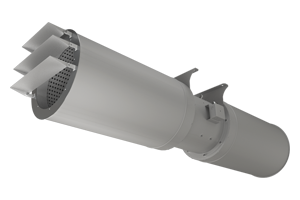 The jet ventilation system design requires no complicated annual cleaning of the ductworks, thus reducing the maintenance costs by 35-40 %. 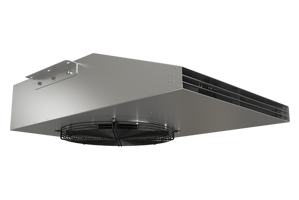 Jet axial fans are used for general ventilation purposes of underground and semiopened parkings, covered shelters, ventilation of tunnels, air recirculation in atriums and air supply to panoramic glass constructions. Such ventilation system does not require installation of ductworks and the air stream flows directly from air supply vent to air exhaust vent.